Donna McQueen (nee Coleman) passed away on Saturday, November 17, 2018 at Royal University Hospital with her children by her side. Born in 1946, Donna spent her childhood in Leroy, SK (which always remained close to her heart) before moving to Saskatoon to complete a B. Ed. and raise her family. 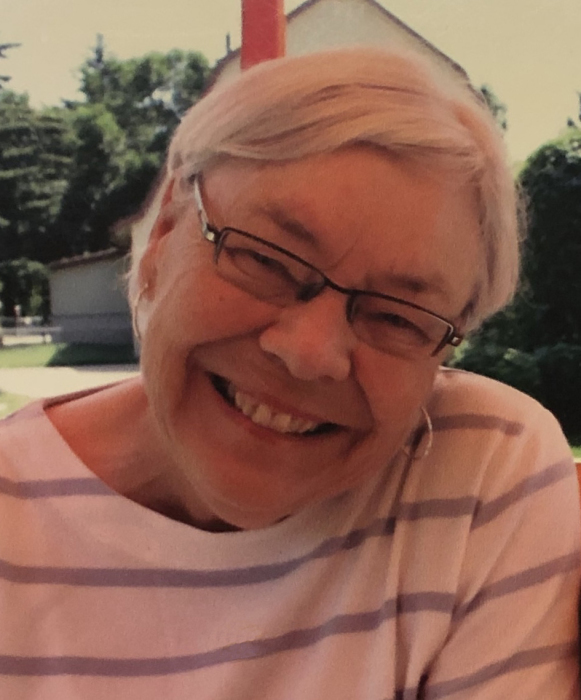 Throughout her life, Donna enjoyed golfing and curling with friends, volunteering and caring for her sister. Her favourite time was spent playing with her grandkids or watching them in sports. She was preceded in death by her parents Elizabeth and Donavon Coleman, sister Joanne Lindsey and brother Bill Coleman. Donna is survived by her brother Matt (Betty), daughter Catherine, sons Rennie (Dawn) and Scott (Kayla) and her grandchildren Roger, Audrey, Cora and Caroline. Grandma Donna will be forever remembered for her selflessness, humour, honesty, loyalty and friendship. In lieu of flowers, donations may be made to the MS Society of Canada or to the Heart and Stroke Foundation of Canada. Please join us in celebrating her life on Saturday, December 1, 2018 between 2:00 – 4:00 p.m. at the Delta Bessborough (601 Spadina Cres. E.) in Saskatoon. Arrangements in care of David Schurr – Mourning Glory Funeral Services (306) 978-5200.